Pair of sconce "Lanternes" by Adrien et Frida Minet, 1950. 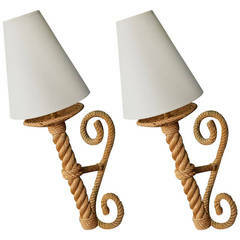 The sconces are made of rope. Each sconces consists of three buckles. One buckle allow to hang the sconce to the wall and the two others support the white ivory cotton lampshade. One bulb per sconce. Pair of 1950s 'Torch' sconces by Adrien Audoux and Frida Minet. School of Nice (France). 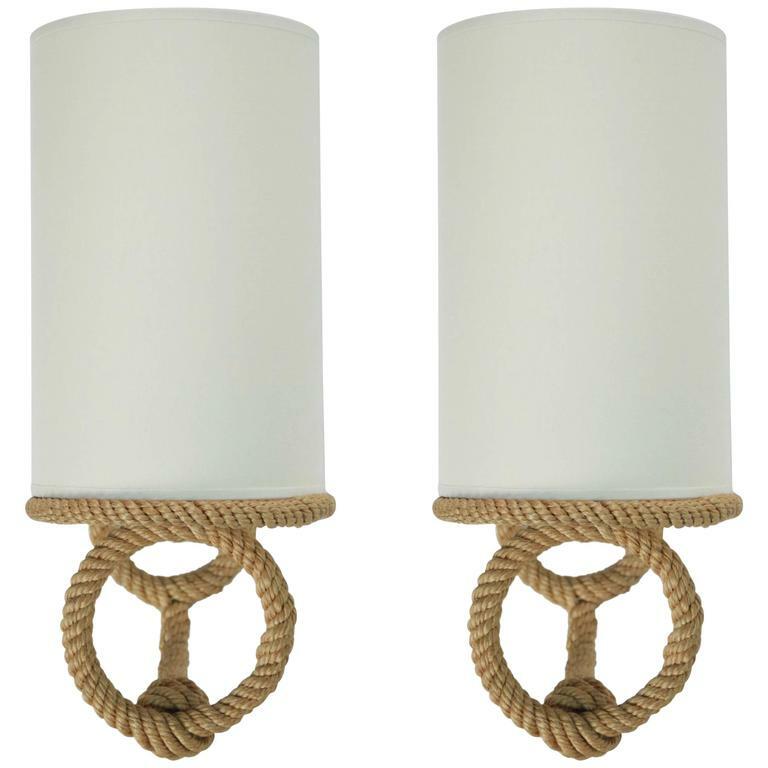 In rope with one lighted arm per sconce. New lamp shade. 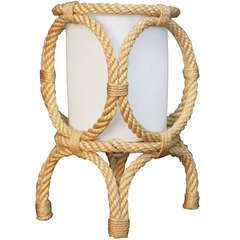 1950's rope lantern table lamp by Adrien Audoux and Frida Minet mounted on four feet and adorned with four circles. Cylindrical shade. One bulb. 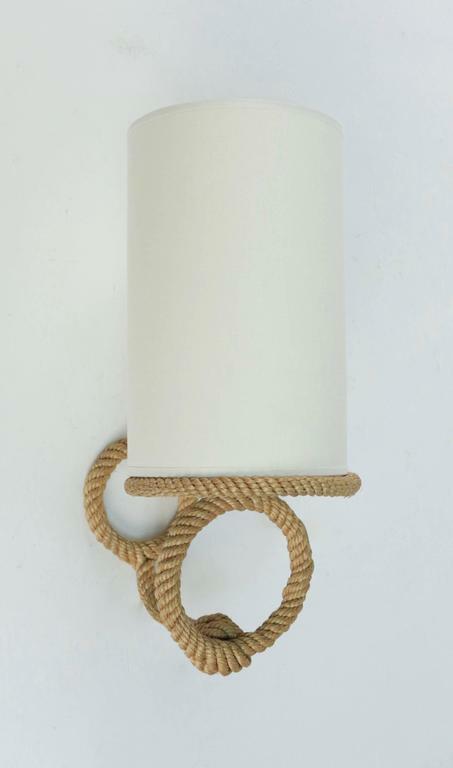 French rope sconce by designers Audoux Minet. Exceptional piece in the form of an anchor, a true eye-catcher. Adrien Audoux and Frida Minet. France, 1960s. European wiring. 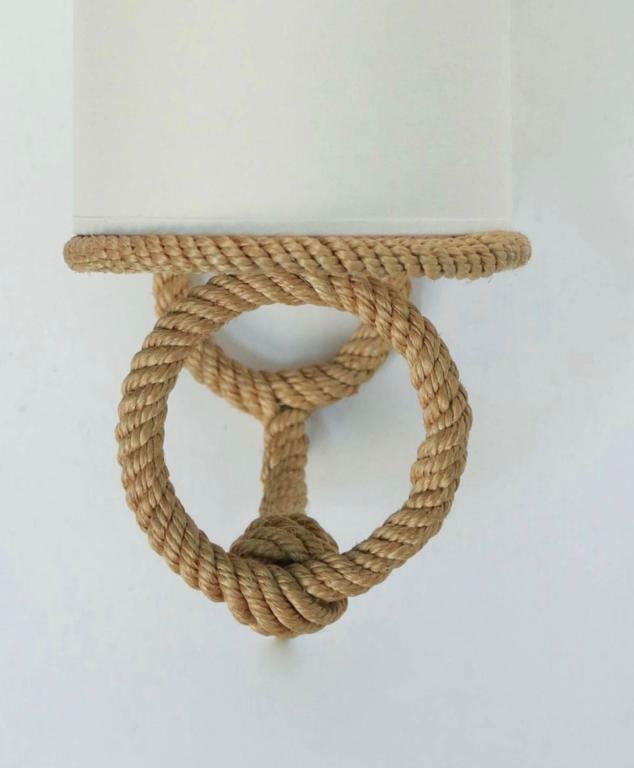 Unusual rope sconce sphere with white opaline shade Audoux Minet, circa 1960. 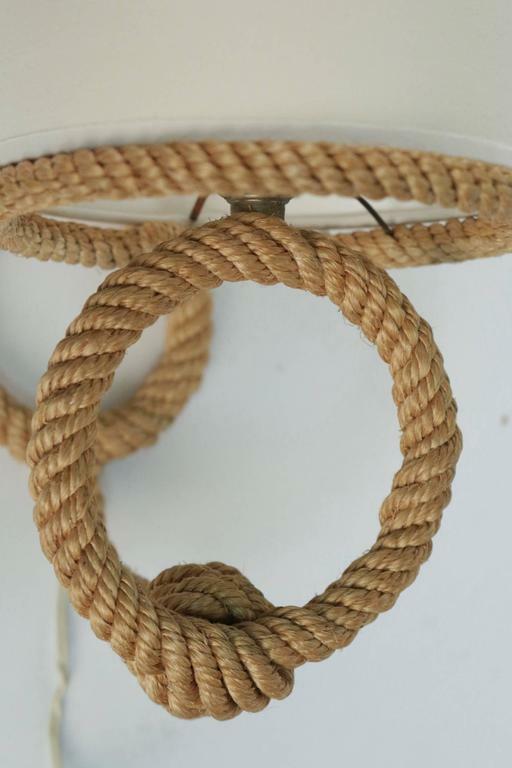 Original rope ship wheel sconce Audoux Minet, circa 1960. Nautical. #2-426 a pair of Tudor style metal hand painted wall lantern-sconce having a cylindrical internal glass. Newly rewired.